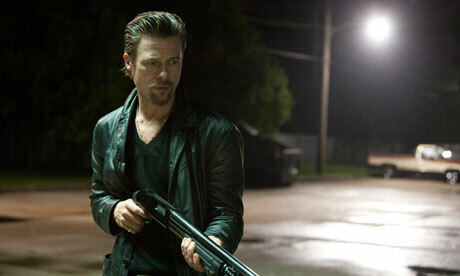 Brad Pitt's Jackie Cogan is a squeamish hit man in Andrew Dominik’s bleak, blackly comic thriller, Killing Them Softly. He likes to whack his targets from a distance, though this is actually incidental to the plot and somewhat disputable after he does one hit which seems pretty close-up to the non-initiated. What the film seems concerned with is far more intellectual. From the opening scene of Scoot McNairy’s small time crim Frankie walking though a littered wasteland, we are constantly presented with the grimy inner city world of petty criminals juxtaposed with speeches from the 2008 American presidential election blaring from TVs and car radios. 'Together we can' Obama riffs as Frankie and his manky, smack-head pal Russell (Ben Mendelsohn) work together to hold up a card game in one of the most griping scenes in the film. The tension builds slowly, as it does throughout the film. This is no mass body count, mindless, hit-‘em-up fest. In fact, we’re treated to some nice, arty slow motion shots of bullets going through glass, and then slow motion blood and brains splatter at one point. So, we are firmly in 2008, though the slicked back hairstyles, fag smoke and leather jackets create a certain 1970s air (as does the fact that the only female character in the film is a prostitute). The screenplay is adapted from George V. Higgins’ Cogan’s Trade and Dominik has done a good job creating this duel time atmosphere. The card game heist brings Pitt's Jackie into the game, about half an hour in. He is hired to blast whoever is responsible. At first everyone thinks card game runner, (an unsettlingly Botaxed-looking) Ray Liotta, who has form in this area is responsible, but attention soon turns to the two robbers and their dry cleaner boss, Squirrel. 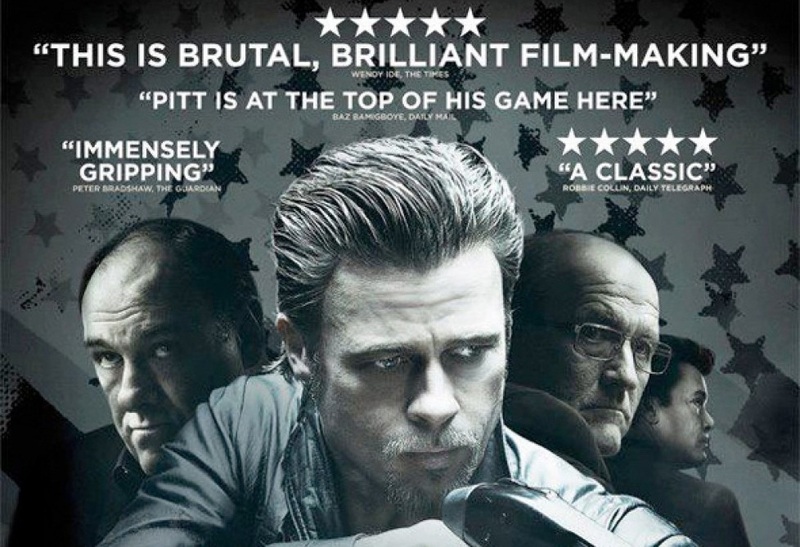 Pitt's hit man is philosophical and affable, and doesn’t really seem like an assassin at all. A little psychopathic undertone may have made his character more convincing. This seemed to be much more Frankie's story than Jackie's, and Scoot McNairy plays the hapless thief who is way out of his depth brilliantly. We don't learn anything about Jackie's motivations at all – where has he come from and why is he a hit man if he's supposedly so sensitive? He comes in, does the job, gets his money, then leaves, and all the while McCain and Obama are talking about a more inclusive, fairer America. The political chatter was laid on too heavily, and I can’t help but think a more skilled director would have toned this down, a lot. What is Dominik really trying to say? That the bankers and the politicians who caused this financial crisis are no better than gangsters? A pretty simplistic argument if so. Only time will tell if this film really helps to define the strange times we live in, in the mean time, if you like your gangster movies stylishly shot and smattered with philosophy rather than blood, this one is for you.